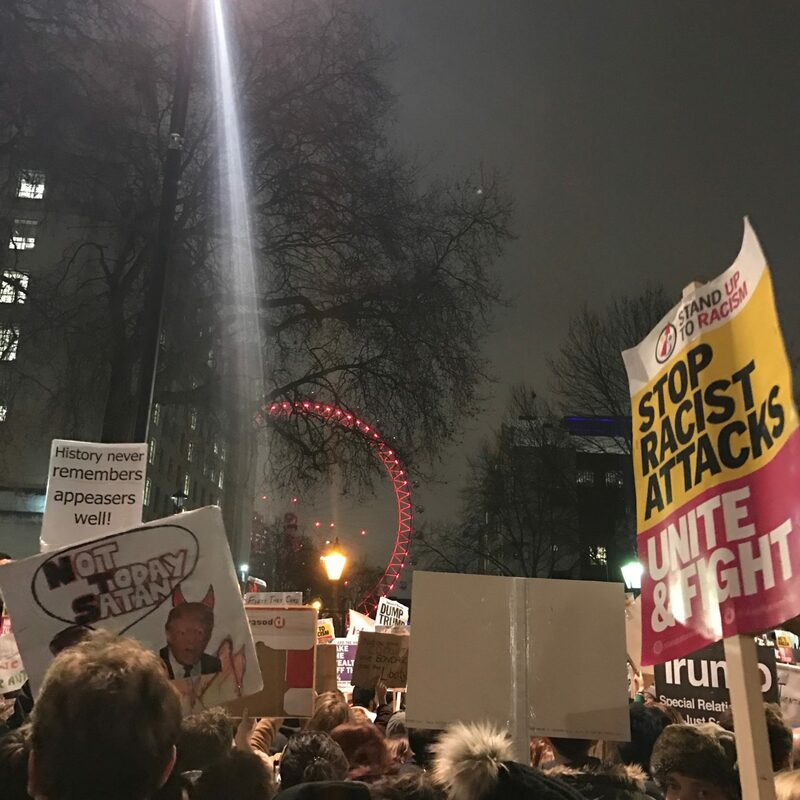 A relatively impromptu protest was organised for Monday evening to make voices known in objection to the Muslim Ban, the latest lunacy at that point to come from that man (he’s no President, not in my name). 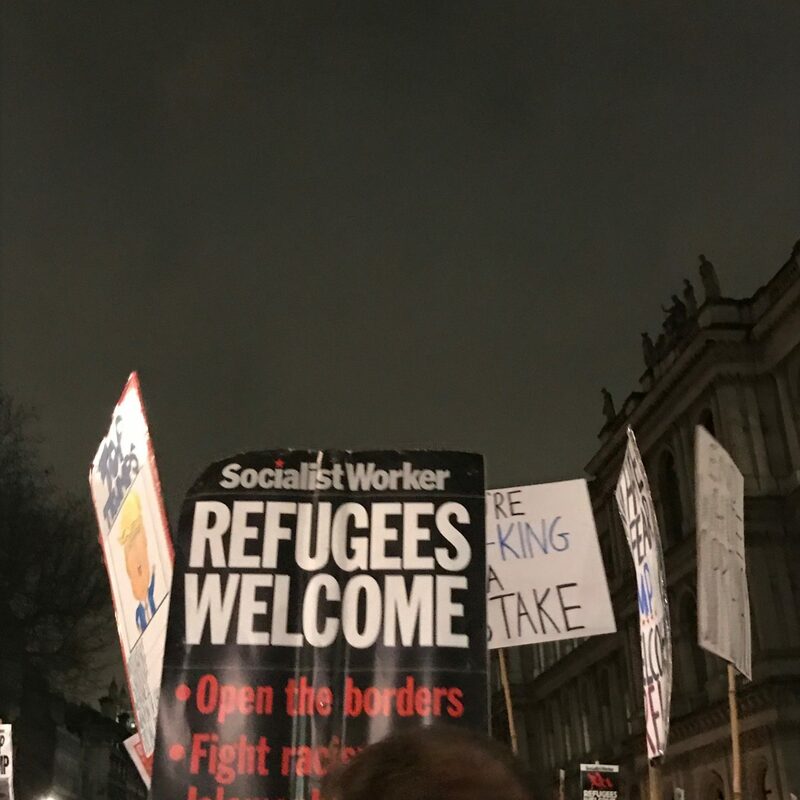 So I made my way with a colleague to Downing Street after work to join in with the merry people and their funny signs. There’s nothing like a protest to make you feel part of something and the spirit was mostly good-natured and friendly. I felt a little sorry for the DHL couriers who whose the wrong time to try and make their way through Westminster and ended up stationary for a couple of hours but well, when the people come together the world has to stop and take notice. We seem to be one of those couples that never go out for dinner unless it’s a special occasion. Of course we pop to the local pub or to one of the chains in Bromley, but actually heading out somewhere different isn’t something that happens very often. 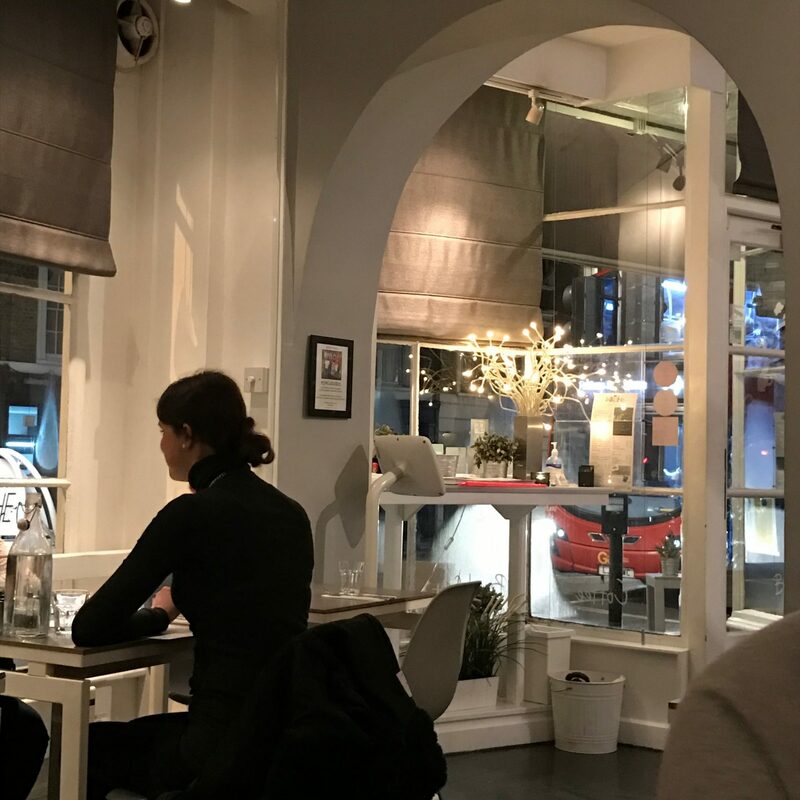 An entirely gluten-free restaurant called Niche had caught my eye a while ago and so we made a reservation for dinner on Saturday evening and hopped on the train into town, heading up to Angel. Niche is the loveliest restaurant! It’s fairly small, I think they just have 34 covers but with it’s grey and white decor and welcoming staff size really doesn’t matter and oh, what joy to be able to look through a menu and know I could eat anything on there. My choices were fried chicken with a side of beer-battered onion rings and another side of mac ‘n’ cheese. Pete had a burger and fries and it was ALL so good. We shared a lemon and blueberry cheesecake for dessert and left feeling full but not uncomfortable. See that bloated feeling that most people get after eating, that’s NOT normal. If anything makes you feel swollen after eating it, it’s not something you should be eating. I try not to evangelise too much but this past year and a half has felt so, so good. On a rainy Tuesday evening I had the pleasure of hanging out at one of my favourite London department stores, Heal’s. If you love interiors and you’ve never been to Heal’s then next time you’re in London make a beeline for it, you won’t be disappointed. 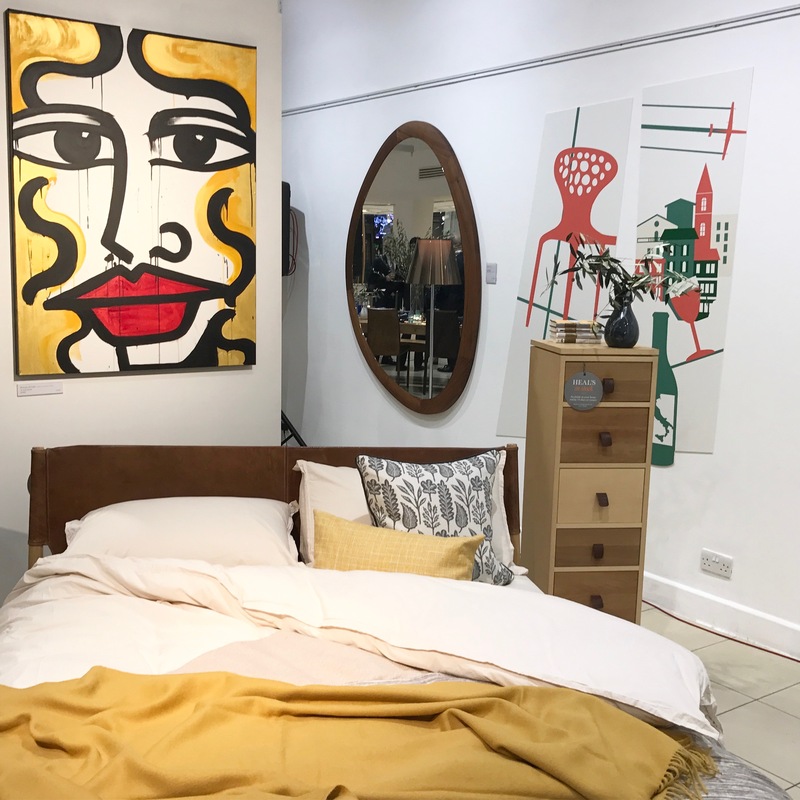 The purpose of the soiree was a preview of the ‘Edizioni Italiane‘ collection which is available for the next few weeks and it was made even better by bumping into two lovely bloggers, Vikki from Style & Minimalism and Nancy from Hello Nancy. I’ve felt a little stuck these past few weeks and there’s nothing quite like catching up with blogging buddies to rediscover the writing love. The Edizioni Italiane also features the most amazing artwork (as you can see at the top of this post) from artist Anna Laurini, if you’re a Londoner you may well have spotted her on your travels, if not she’s definitely one to follow. Reading this made me smile – I too have many things that I’ve started in a fit of productivity… yet when the motivation has worn off (or I’ve hit a bump in the road) they’ve all been left wanting. I’m sure they’ll be finished off some time this year… right? 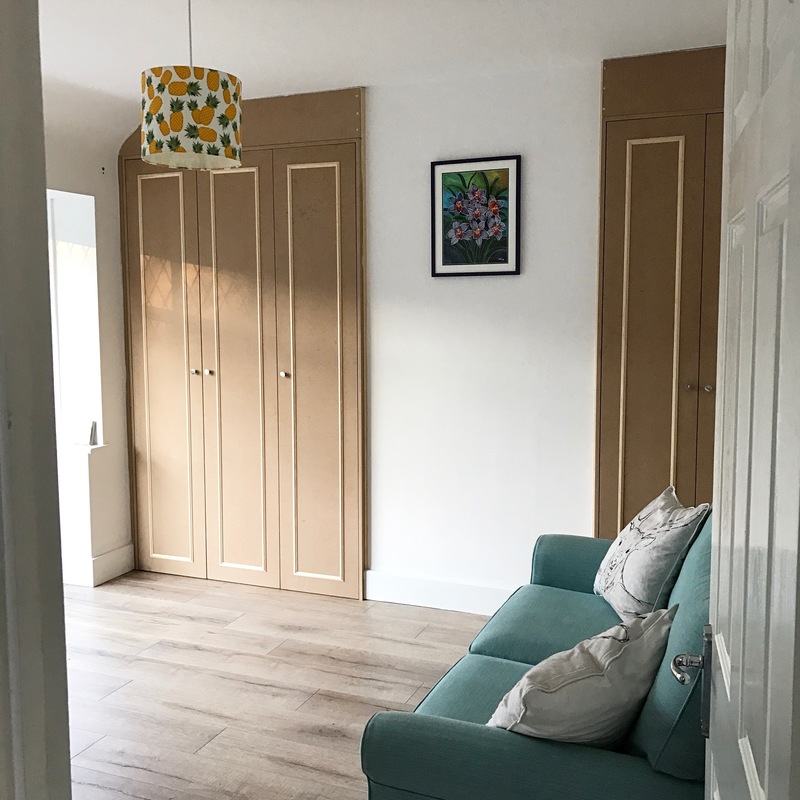 Good luck completing the cupboards, I look forward to seeing how they turn out. And hats off to you for proactively standing up for what you believe in; I think I’m still in a state of disbelief that he’s now in charge over there. After all the shocks in 2016 too I’m really hoping that 2017 can only go onwards and upwards from here. Ahh thank you so much Lucy – I think sometimes you just have to go with the flow and accept that what will be will be. I’ve learned though that I must finish one project before starting another one…!